Like his lyrics, 19-year-old Kidd NuuTron is lost in space. 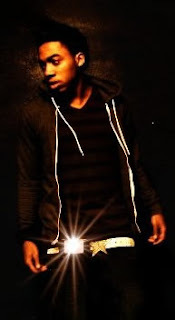 This hip hop artist has appeared in several songs including tracks with rising star, Kajmir Royale, Yung Luv, Trends, and many other artists. He is not just a performer, he is a writer. With over 500 songs and more on the way, NuuTron’s reflection of art and music merge into crafty and prolific songs. He is not just the typical rapper, NuuTron brings a combination of hip hop and R&B to his listeners. 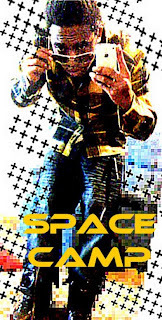 Each production of Space Camp is a top-notch performance, including some club beats meant for the dance floor with songs like, “Drinks on the House” and “Get it Clappin”. 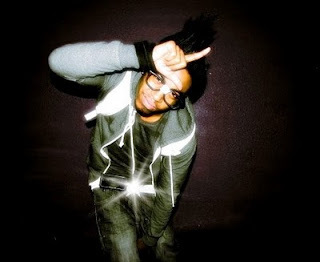 Other tracks like, “Lost in Space” and “Miss Beautiful” show a more intimate and emotional side of NuuTron and delivers a futuristic sound that is fresh and connects with the listener. Undeniably, Kidd NuuTron is an artist to keep an eye on. It is just a matter of time before his songs will go mainstream and become a well known icon. First off, what is behind the name, Kidd NuuTron? You’re a new kid in hip-hop, but you’ve been around and making music for awhile. What were you doing before you met up with Lead Alliance? Started when I was 14. I was recording and engineering at home. When I turned 16 and could drive, I was practicing, working at studios in Colorado Springs and started battling and doing shows around the Springs. I met Mike Will Downey, Adrian Smith and G. Preston Tyiir of Lead Alliance in 2009 and they've helped me develop as an artist and songwriter. They are really amazing at sales, booking, and marketing too. Whatever I come up with I communicate it... I'm not trying to cater to the World, I'm trying to put everyone in the mind state that I'm in. You recently did a few songs with up-and-coming artists, Kajmir Royale and Yung Luv. What was it like working with them? You’ve written over 500 songs, right? Are any of those songs you wrote on or going to be in your new album? A few of them are going to be on there. Most are going to be brand new songs. I'm growing everyday so anything I come with now is going to be better than before. I see life as a book and I feel like I write so much and grind so much . It's up to me to write the pages. The more I grind the more I see things will go my way. I try to capture everyday life in a song and the other half is me making my interpretation of a story. The songs on your new EP are more of a blend of rap with a club party beat. “Drinks on the House” is the quintessential party song. When you heard it the club for the first time and everybody was jumpin’, what was that feelin’ like to see the whole floor on their feet and dancing to your song? It paid off and it motivated me to make more songs like this. One thing is once something is successful you want to make more successful songs. Some of your songs like “Obduction”, “Rocket”, and “InSpace” seem to focus on outer space. Do a lot of your songs have an “outer space” theme to it? Yes, I've always been into space. Outer space . Earth has its limits. I make songs about space because I can make songs practically about anything. It's infinite information. Instead of making a song about something I see here. Has an outer space twist to it. Because mainstream and commercial radio places limits on what we hear on the radio, do you think it places limits on you as an artist and forces you to only release music that fits the current market? The current market is alright. Instead of fitting into the current music I'm more of an entrepreneur type I'm trying to change it to what I'm doing. So basically, we aren’t hearing your true art? Are we only hearing what has the potential to sell? You're hearing most of my true art, but like a rocket, it has to ease into the atmosphere. No, it's all about the listeners and what they want and what they will buy. Are you currently making music in the studio now? Yes, I'm writing and recording a new song everyday. I'm hoping to get on tour in the fall. I have a lot of recording and writing to do over the next few months. How soon before the public will get their hands on Kidd NuuTron’s full EP/LP? My new LP will be released this summer around June. What else can fans expect from Kidd NuuTron this year? Now producers not only sell their beats on Soundclick, but on other sites dedicated to beat sales such as BeatSwagger or RocBattles. These sites have begun to attract a number of talented producers and continue to grow.